Get a clean shave without cleaning out your wallet. After reviewing numerous shavers, the Panasonic ES-LT41-K is my pick as the best electric shaver for the man on a budget. Top-of-the-line electric shavers for men commonly cost upwards of $200, even as much as $500, yet compromising on price doesn’t have to mean courting disappointment. For those of us who are a little more cost-conscious, a good quality shaver can be had for less than $100. But which model should you go for? I combined my experience with user reviews from Amazon and looked at other professional reviews, such as Consumer Reports magazine’s electric razor buying guide, to come up with my pick for the best electric shaver you can buy for less than $100. When choosing an electric shaver, the first choice you’ll need to make is between two very different kinds of electric shavers: foil and rotary. Foil shavers have blades that sit beneath a curved metal cover with a pattern of holes (the foil) to capture hairs for cutting. Rotary shavers have blades that sit beneath round, hole-covered heads that spin to capture and cut hairs. In my experience, foil shavers are more effective at clearing a thick beard than comparably-priced rotary shavers. Beyond the type of shaver you choose, more money will generally buy you a better shave via a better designed shaver head and more powerful motor. The motor determines how fast the blades move and thus how efficiently the shaver cuts the hair; a more powerful motor should produce a closer shave with fewer strokes across the skin. Other upgrades tend to be bells and whistles that don’t directly impact shaving performance, such as LCD screens that show remaining battery life (in place of simpler LED indicator lights) or accessories that clean, lubricate and charge the shaver. You can decide how important those features are to you. Taking all of that into consideration, I've chosen both a best foil shaver and a best rotary shaver in the Under $100 category. A powerful, 13,000-CPM (cycles per minute) linear motor drive. A well-designed shaving head that pivots approximately 25 degrees up and down as well as about 20 degrees left and right, with three independently floating blades that follow the contours of the face and neck and a “slit” foil structure that is designed to better capture long hairs. An LCD readout that shows remaining battery life and other information. A sonic vibration mode that helps clean the shaver by shaking loose cut hairs. Wet/dry shaving capabilities; usable with shaving foam or gel. Amazon.com users gave this shaver an overall rating of 4.5 stars, which places it eighth in Amazon’s list of top–rated foil shavers, in the company of shavers that cost twice as much or more. Moreover, the reviews (sorted by newest first to capture satisfaction with the latest production runs) glow with praise. After conducting this initial research, I requested and received a review unit of the ES-LT41-K directly from Panasonic. Upon unpacking it and powering it on, I saw that it arrived with a 10 percent charge remaining on its battery. I immediately plugged it into an electrical outlet to recharge it to 100 percent, which took less than one hour. While shaving, I was impressed by its light weight, comfortable ergonomic design, and smooth (low-vibration) and quiet operation. The large head covers a large section of skin in a single stroke, and the pop-up long hair trimmer sits at an angle that makes it easy to trim sideburns. Power consumption was good, too. After about five minutes of shaving and trimming sideburns, the LCD indicated 90 percent of battery life remaining. Nevertheless, I also noted an aspect of this shaver that makes it still a compromise versus a more expensive model: The pivoting head moves vertically and at up-down angles to the right or the left, but it won’t swing back and forth from the front of the razor to the rear. In fact, the part of the shaver that houses the pop-up trimmer on the rear blocks the head from this motion. As a result, the shaver simply cannot exactly follow the contours of the face, chin and neck. So I had to make multiple passes over my chin and neck areas — four or more — to get an adequately close shave there. However, users on the CR website wrote scathing reviews of this Remington shaver, altogether rating it only two stars out of five. 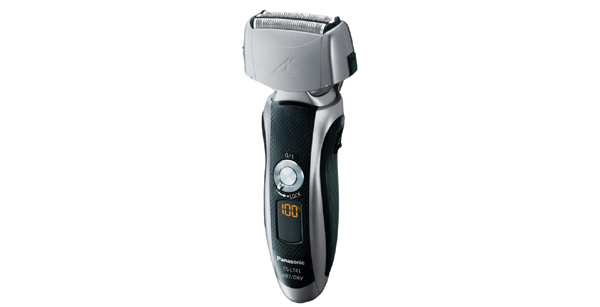 I also considered another Panasonic Arc3 shaver, model ES-SL41-S, which carries a manufacturer’s suggested retail price of $89.99. It is discounted to just $49.99 at Amazon and to $54.99 at Panasonic’s own web store. But I rejected the ES-SL41-S because it lacks the high-end features of the ES-LT41-K for not significantly less money. The LT41 has been available since 2011, and the SL41 since 2012. Panasonic is expected soon to add its newest Arc3 shaver to the lineup, boasting even greater technology shared with more expensive stablemates. The model ES-ST25K-S boasts a sensor that lets the shaver detect the thickness of the beard and adjust the machine’s motor speed accordingly. But its manufacturer’s suggested retail price is $149.99, and the shaver likely won't be discounted below $100 any time soon. So the Panasonic ES-LT41-K remains my top pick. In the arena of rotary shavers costing less than $100, the Philips Norelco AT810 PowerTouch with Aquatec shaver, which carries a manufacturer’s suggested retail price of $69.99 but is discounted at Amazon to $59.95, received the highest rating — 4.5 of a possible 5 stars — from Amazon users. It is a wet/dry shaver with flexing heads. However, I prefer the Philips Norelco AT830 PowerTouch with Aquatec, a step-up model that also features a pivoting head. The AT-830 has a manufacturer’s suggested retail price of $89.99 and is discounted at Amazon to $79.95. 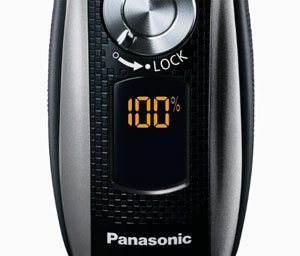 I’ve been using the Panasonic for the last week and it gives a very impressive shave for the money. My first time out, I gave it a shot on 4-day old whiskers and it cut right through them. Requires far fewer strokes than my Braun Cooltech. Definitely a great pick by Rob. Keeps my man's face smooth! We like to know we’re helping in the cuddle department. I have always preferred rotary shavers because they seem to give me a much closer shave. Also if you get any kind of small chip in the foil it can really mess up your shave and can nick your face. Went through multiple higher end ($150 or more) shavers. Tried both rotary and foil style and neither ones could come close to the performance of the Skull Shaver. Great ergonomics give a comfortable grip on the shaver. The 5 rotary heads provide a fast,close shave that is unmatched with any other shaver I have experienced and I have been shaving my head for 18 years. Cannot recommend this shaver enough to anyone looking for a fast close shave. You will not be disappointed. 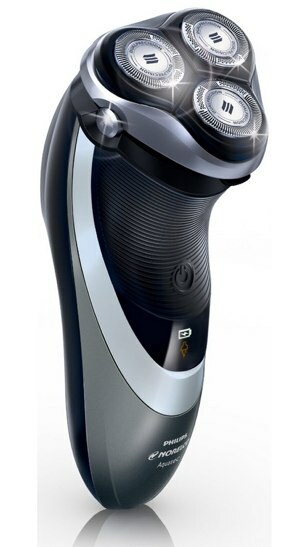 I am in love with Panasonic electric shaver. It’s been more than 7 years, I have been using this shaver. The perfect shaver for me.